SandForce and OCZ Technology have released a firmware update for SF-2000 series solid state drives that addresses a nagging blue screen of death and disconnect bug that has plagued drives for months. OCZ is one of many vendors that use SandForce controllers and they have been at the forefront of the issue, working directly with SandForce and affected users to pinpoint the problem. Although details are sparse, the firmware release notes indicate that the fix concerns a “rare” condition that may cause a blue screen error when the primary drive is woke up from either a SATA slumber mode or S3 / S4 modes. The change log also notes a BSOD error when the drive is configured as the primary unit with an OS installed and another issue that could cause stuttering or freezing when a media read error occurs. Finally, OCZ’s Secure Erase function has been enhanced to prevent possible data structure corruption and TRIM handling has been improved. 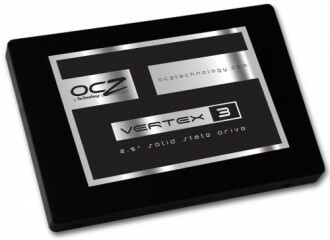 These issues are corrected in OCZ’s firmware update 2.15 available here and all new drives manufactured at OCZ will ship with this firmware version (or later). The firmware used on SandForce drives are uniquely manufactured for each SSD OEM and system manufacturer, and for that reason any firmware updates created by SandForce are provided through those vendors, not SandForce. That said, those with SandForce drives from other vendors will need to wait until they release their own firmware update to address the issue. As with any software or firmware update, it’s recommended to back up any data before performing the update.